"e-Governance: rhetoric and the realities - this is the theme for this insightful book, offering several penetrating analyses by scholars with different experience. Leslie Budd and Lisa Harris have succeeded in putting together a volume that penetrates behind the discourse and displays the variety of real outcomes. 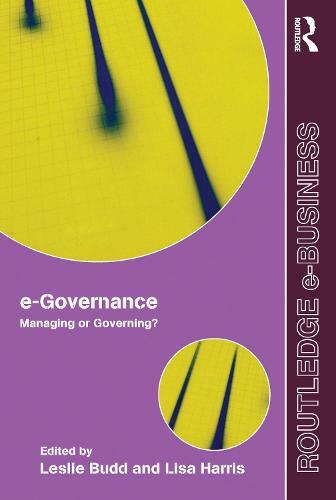 It is a must read for people searching for DEG = Digital era governance, as it reveals its limits."